Sure sign of spring, the grizzly bears are out. This means pull your bird feeders and pack your bear spray! Nuf-said . . .
Grizzly bears are out along the Rocky Mountain Front! (link to full story in the Great Falls Tribune). 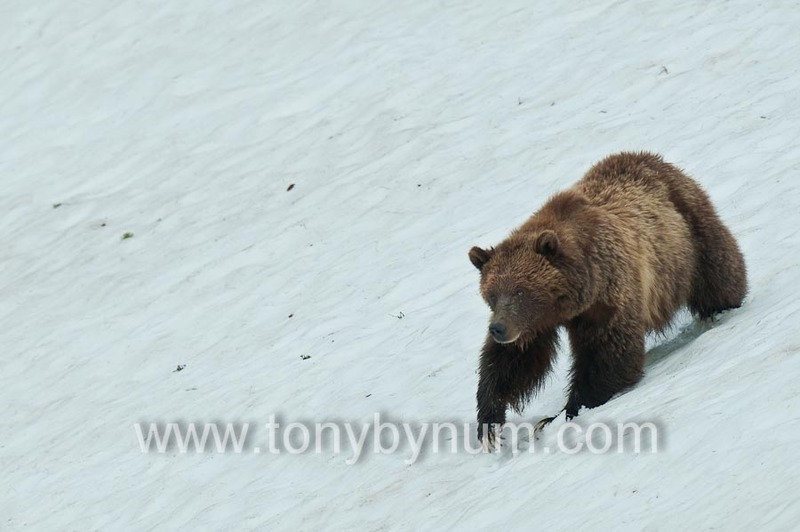 A sow Grizzly bear emerges from her den and cautiously walks across a snow drift. Glacier National Park, Montana. © Tony Bynum, All Rights Reserved. Love that storm shelf over the Rockies on your banner! Love the grizzes -- in photos.